We are proud of the achievements of our children at this school. Many of them have come to live in the UK and have to learn English in addition to their home language. This means that many have a slow start and then make rapid progress. Some children who have been in the country for less than two years by the age of 11 can be excluded from the overall results. All children are included in EYFS and KS1 however, even if they are very new to the UK. This is reflected in our school’s performance data. You can see our latest results in the documents below. School performance information is available on the education.gov.uk website. This also allows you to compare between different schools. 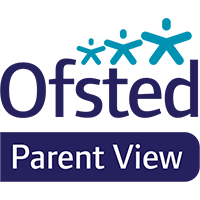 Our Ofsted reports can be viewed on the www.ofsted.gov.uk website. Assessing children is an important part of our school’s work. It tells us how well children are doing when compared with other children of their age, and how well they are progressing. Many children may start at a low level for a number of reasons, but make rapid progress and catch up over time. At Hazel we have chosen to use Target Tracker as our system for recording assessment. From 2015-16 we will be using the system of ‘Steps’ for all children in Years 1 to 6. Pupils are given appropriate feedback on their learning by their teachers to help them with their next steps through marking and other support. The new National Curriculum has clear expectations for what children should achieve by the end of each key stage and year group. Our assessment system breaks these down into more detailed guidance which enables teachers to use assessment to support lesson planning and provide a curriculum designed to meet the needs of all learners. Teachers and school leaders use assessment to help ensure that the pupils who need extra intervention are quickly identified, appropriately supported and monitored so that no one is left behind. School Leaders use assessments to monitor the progress and attainment pupils make, to ensure the school is helping pupils achieve their potential. Governors use data to ensure the school is supporting pupils learning effectively. The Local Authority and Inspection teams also look at data to see how groups of children are performing, and how well the school is doing. For children to be working at age related expectation, they need to be assessed as working between w (working at) and s (secure) at the end of the appropriate year. Secure + indicates a child who is really confident at applying their learning and is demonstrating ‘mastery’. In the new curriculum the general expectation is that children will be measured in their year group band but will gain a deeper understanding to attain s+. Each of these steps is translated into a point which helps the school to measure progress over time. At appropriate times during the school year, teachers decide which step each pupil is working at in different subjects. Lower and high achieving pupils may be working at a band outside of their current year. learning English as an additional language.